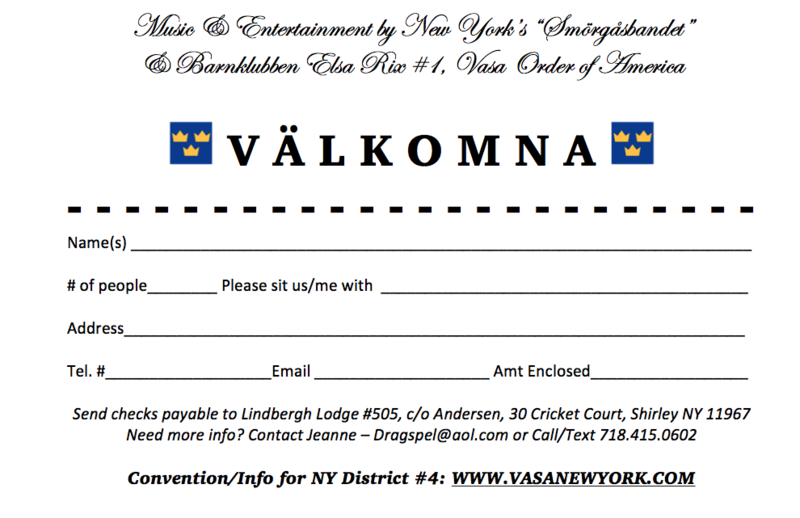 Dear Vasa Members & Vasa Friends! 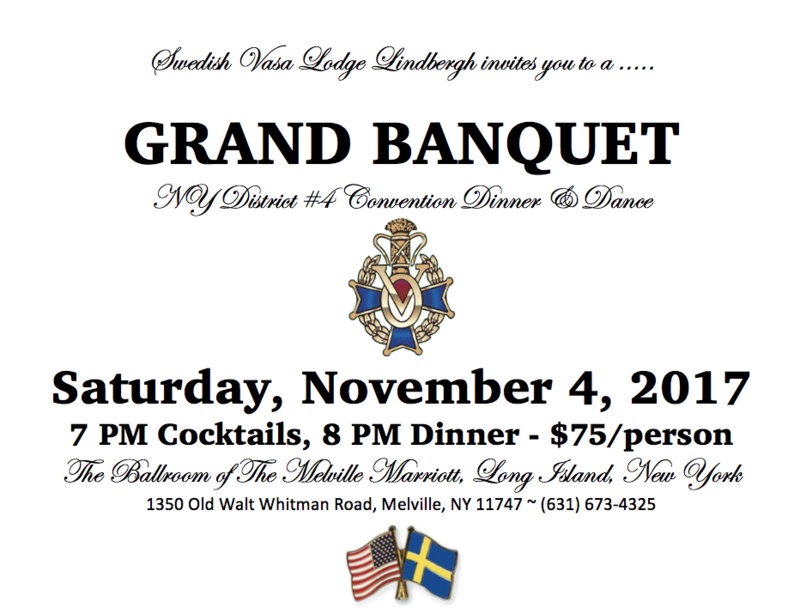 Lodge Lindbergh #505 of Long Island is proud to be this year’s host of New York District #4’s Biennial Convention to be held on November 3rd & 4th, 2017 at The Marriott Melville on Long Island. Friday night, November 3rd at 7 PM is a welcome reception and registration, and Saturday the 4th all meetings, memorial service, election and the installation will take place. Saturday evening is a banquet gala, and you’re all invited! You do NOT have to be a Vasa member to come to our Saturday night dinner party & dance! We promise SWEDISH FUN!!! 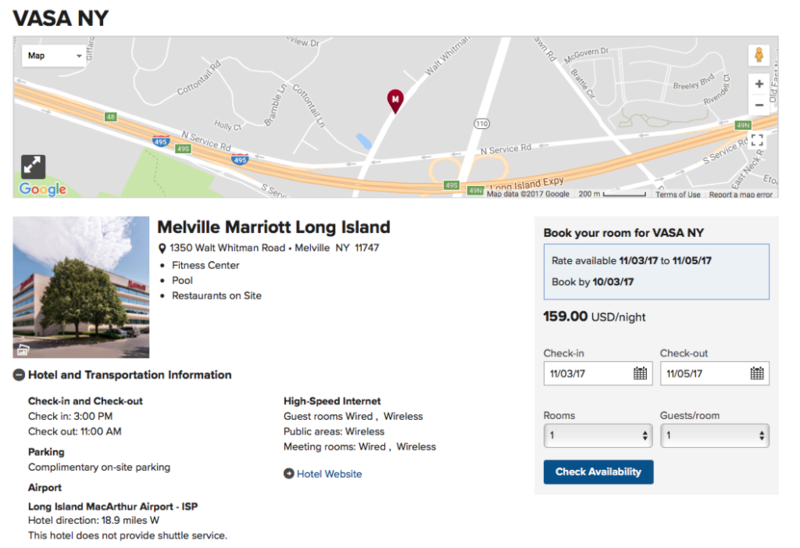 Click on the links below for your reservations at the Marriott, the itinerary, and the banquet gala flyer. Welcome to Convention 2017!